A nightmare begins for Cage Foster when a woman is found dead in Adams County’s historical cemetery. The main suspect is Cage’s mother, whose advancing Alzheimer’s may have caused her to lose control and cause a terrible accident. As Cage tries to figure out exactly what happened in the old graveyard, trace evidence against his mother mounts. But Cage doesn’t trust the victim’s husband and is determined to prove his mother was in the wrong place at the wrong time. The county attorney is under pressure to close the case during the all important tourist season, and time is running out. With the help of medical examiner Summer Jordan, Cage casts his net and prays he can catch the real killer. Will Cage uncover the truth proving his mother’s innocence before it’s too late? Or is Cage dead wrong? 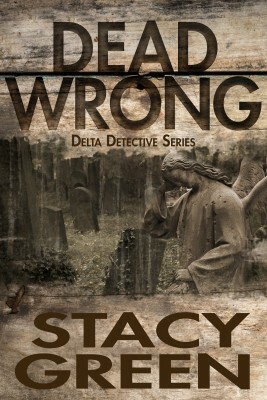 Full of twists and turns, Dead Wrong is an exciting small town mystery featuring police hero Cage Foster.